A sequel to the Victorian-era set Gotham by Gaslight Batman story sounds like a good plan. Brian Augustyn returned to write Master of the Future, although Mike Mignola didn’t return as well, Eduardo Barreto handles the turn of the century Gotham style. Taking place a few years after the original, The Bat-Man has retired from crime fighting in the public eye. The person who killed Bruce’s parents had already been dealt with, stopping all the petty crimes in Gotham doesn’t interest this Bat-Man. Of course Wayne still fancy’s excitement, betting on boxing matches. Then when the match doesn’t go his way, and his friend fussed about the outcome, Bruce steps in the ring to take on a giant man. We never see the fight, just a crowd reaction then Bruce and his friend walking away talking about giving the money they won to an orphan relief fund. 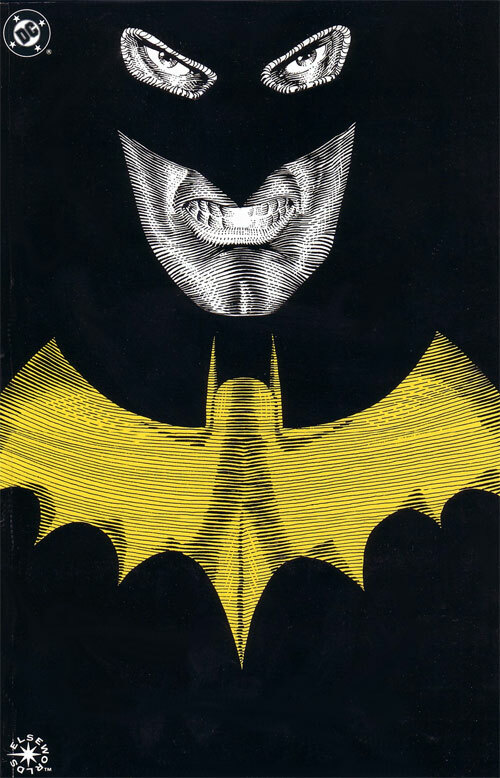 it serves its purpose as an introduction to this new old style Batman, and his new companies. His friend from the boxing match Teddy, and Bruce’s love interest. A woman who was saved by Bat-Man one night. The main plot of the book is that, Alexandre Leroi bursts into a courtroom where plans for Gotham’s entertainment are taking place. There’s a Buffalo Bill look-a-like trying to get the mayor to let him have his show in Gotham and make a few dollars. The mayor is not having any of what the man wants and shuts him down jus before the crazy french Leroi bursts through a window nine stories up declaring that he is the master of their future, a man of tomorrow, and to give him the city of Gotham and it is saved. They mayor doesn’t give in and the big Gotham City fair will go on. Gordon is a little uneasy about not having Bat-Man around, but Bruce isn’t going to let the opportunity pass him by. Alexandre pulls a stunt, on the mayor making finalizing the fair plans, where he sends a machine gun on wheels covered in a circus clown mask trying to kill the mayor. Of course Bruce was there to save its intended target and take it out with one thrown pipe. The day of the fair Leroi kidnaps the mayor as he’s getting ready and takes him up to his blimp driven by a mechano-man. The antagonist Alexandre is successful at try to destroy the fair, he set buildings on fire, and kills the mayor. However Bruce does save a few people and Alfred is there at the right moment to give him his Bat-clothes. Bat-Man does manage to save some people before going after Alexandre himself. One of the people he saves is his love interest. In the end, she figures out who Bat-Man is. Something simple like having Bruce Wayne’s girlfriend get repeatedly saved by Batman and have them not put two and two together gets old. Ultimately, if you like the beginning of twentieth style Batman story that was Gotham by Gaslight, Master of the Future won’t disappoint. DC’s Elseworld tales aren’t for everyone, but I like them, they tend to be different and interesting, and this book is both.